3 more free GameTop puzzle games added to Porting Kit! On January 24, 2016 / Game Port, Gametop.com, Mac Puzzle Games, Portingkit / Comments Off on 3 more free GameTop puzzle games added to Porting Kit! Gametop is awesome because of their free games! And today I added 3 more puzzle “match” games. Starting with Wild West Story, then we have Robin’s Island Adventure and last but not least Dress-up Pups! All three games are very nice match-3 adventure games with a great story and mini games. Those games are a nice add-on on the quick growing free-full-game list in the Porting Kit App. Enjoy those free games in Porting Kit! Below a trailer of one of the three games. On January 6, 2016 / Game Port, GOG.com Games, Mac Puzzle Games, Mac Strategy Games / Comments Off on SpaceChem for Mac! SpaceChem is an intriguing, “problem-solving centric” puzzle game by Zachtronics Industries that combines the logic of computer programming with the scientific domain of chemistry, set in an original science fiction universe. I tested the game and works great! The only extra thing you have to take care of is the installation of the game. This means that at the end of the installation you have to wait bout 5 minutes and then manually quit the installation. After that you can play the game nicely native Windows for Mac using the Portingkit! Tested 2 levels without any problems on my low-end macbook air. Enjoy! On December 24, 2015 / Game Port, Gametop.com, Mac Puzzle Games / Comments Off on Breezeblox for Mac! Breezeblox is a fun blocks puzzle game. GameTop offers it free on the Mac using the Portingkit without any trials, payments, no malware/virus, no toolbars, no in-game ads or what so ever!! The Incredible Machine Mega Pack for Mac! On December 20, 2015 / Game Port, GOG.com Games, Mac Puzzle Games, Portingkit / Comments Off on The Incredible Machine Mega Pack for Mac! Great news. The most popular puzzle game ever is now available for Mac in the Porting Kit: The Incredible Machine Mega Pack! All 4 games are added to Portingkit, so download one of those setup files from GOG.com and let Portingkit install the game for you so you can play it on your Mac! enjoy! On November 29, 2015 / Game Port, Gamersgate Games, Mac Puzzle Games, Portingkit / Comments Off on Flock! for the Mac! Flock! 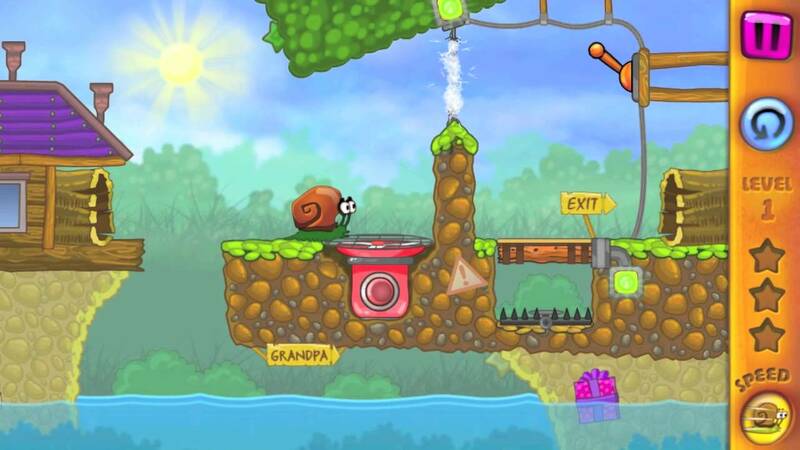 uses a sophisticated physics engine that drives the challenging puzzle elements of the game. Whether it’s using the tractor beam to move obstacles out of the way, or the depressor beam to stamp out crop circles to guide your herds, being an extraterrestrial has never been this addictive. I tested the game for 2 levels and a local multiplayer game (1 person with keyboard, and one with mouse) and works great on even my low-end Intel HD5000 Macbook air! A very fun and addictive puzzle/arcade game! The game is played from a third-person top-down perspective. Users take control and pilot the UFO around a series of small ‘plushie’ islands surrounded by water. The animals that populate these islands – sheep, chickens, pigs, cows and more – respond to the UFO in all kinds of quirky ways based on their nature. The challenge is to take advantage of these behaviors in order to help guide the animals to the mothership and rack-up points. If all else fails, there’s always the tractor beam! Important Note! The game is 80% off ($0,99) now on the Gamersgate Thanksgiving sale!! So take advantage of it! Jewel Quest 2 for Mac! On November 28, 2015 / Gametop.com, Mac Puzzle Games, Portingkit / Comments Off on Jewel Quest 2 for Mac! Jewel Quest 2 is the very famous fun puzzle game which was also released on Nintendo DS and Wii. GameTop offers it free on the Mac using the Portingkit without any trials, payments, no malware/virus, no toolbars, no in-game ads or what so ever!! The dangers of the safari, The history of the Zimbabwe ruins and the majesty of Victoria Falls await your discovery, filled with puzzles of skill and twists, while surrounded by gorgeous dynamic backdrops and animation. Get swept away by the heart pounding soundtrack as you’re immersed in realistic and authentic African settings. Discover an amazing new element of fun with the Exclusive Dueling Jewels Tournament Play: Pit your jewel matching skills against others around the world! Play against other players, or be matched with a computer opponent! If you like games like Candy Crush Saga(R) or Bejeweled (R) you will enjoy this free full version game too. Embark on a thrilling journey in a story filled with adventure, love, and betrayal that changes with every replay! Jewel Match 2 for the Mac! On November 26, 2015 / Game Port, Gametop.com, Mac Puzzle Games, Portingkit / Comments Off on Jewel Match 2 for the Mac! Jewel Match 2 is a very fun puzzle game. GameTop offers it free on the Mac using the Portingkit without any trials, payments, no malware/virus, no toolbars, no in-game ads or what so ever!! Enter a mesmerizing match-three wonderland! Line up dazzling jewels and eliminate tiles across 150 levels of casual fun as you build majestic castles and enjoy spellbinding visuals and audio. As you progress, you’ll collect coins with which you can purchase unique powers. You then be able to use these abilities to break the chains that lock certain gems in place or send lighting ripping through tiles. Amazing powerups and hours of fun lie ahead! – Collect coins to buy spells in the shop or spend on the Gamble Box.